Bobcat shot with wildcat cartridge, .224 Kay-Chuk, is proudly held up by hunter Don King, Gainesville, Tex. DO YOU have your own ideas, some of them pretty spectacular, about what a gun (or a load) should be for a specific purpose? If so, you are the kind of fellow who helped make the musket obsolete, and some of your ideas might be worth trying. Be inspired by a "real gone" gun bug who has ideas thick and fast, and who, unlike many of us, does something about it. Jim Harvey, head of Lakeville Arms, Lakeville, Connecticut, has produced a larger variety of developments in the gun field the past six years than any other man I know. Jim is a walking Research and Development Lab, and some of the ideas he perfected on a shoestring are decades ahead of the competition. Some, due to government interference or by coming out before their time, were not profitable. But they worked mechanically. "Authorities," of the type who once taught the world was flat, often repeat theories until they are accepted as facts. 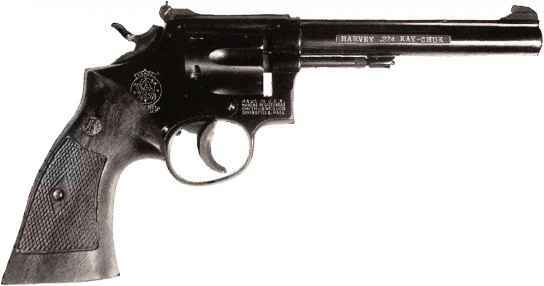 Author's Kay-Chuk is S&W K-22 converted by Jim Harvey who rechambers, fits firing pin. Colt OM cylinder is too short for .224. Experimenter Harvey exhaustively tested pure lead bullets in .38 Spl. (K-38, above) and in heavy Magnums in achieving high velocity shock. precision-machined base for better accuracy, act as a gascheck, and coat the bore with a microscopic film of zinc to prevent rust and wear. Zinc would act as a lubricant. It worked beautifully. And so the famous Prot-X-bore bullet was born in the small town of Lakeville, Connecticut. These bullets are clean to load and, with no grease to seep out and kill part of the powder or primer, ammunition is extremely stable in storage. Killing power is all out of proportion to paper ballistics. Only factory swaged bullets were sold at first, but Jim soon developed dies for home swaging. A swaged bullet is more dense and uniform than cast types, but moulds were in demand and Jim invented a clever design for casting inexpensive bullets at home. 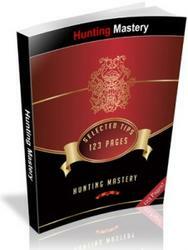 Various weights in all popular calibers are available. Harvey had hundreds of loads lab tested for accuracy,, velocity, and pressure, with the best data supplied in their literature. Accuracy was superb. Some loads grouped in at 50 yards, and the average was under Then Harvey designed a S.F.M. (Shoot From Mould) mould, to cast bullets ready to shoot. With sizing and lubricating eliminated, faster production of perfectly balanced, undeformed, concentric bullets is possible. Dr. F. W. Mann and Harry Pope, who long ago learned more about accuracy than most people know today, had proved the accuracy of precision bullets shot without sizing. Like them, Harvey measures success in performance, not profits. Experimenting, not bread, is his staff of life, and profits go for further experiments. The Prot-X-bore bullets were a success by any standard, on the range and in the field. Harvey likes to prove theories are wrong, and he knows that the wildest idea can sometimes be made to work. Take handgun bullets, for example. Pure, soft lead is more dense and has far greater shocking power at handgun velocity than any alloy. "Authorities" said pure lead bullets would slug and cause bore leading, even with perfect lubrication. It's true with conventional bullets. But, in 1948, Jim went to work on new types. Outdoorsmen for decades enjoyed using shot revolvers such as Harvey-smoothbored New Service until mal-administration of National Firearms Act caused snake-potters to be outlawed. 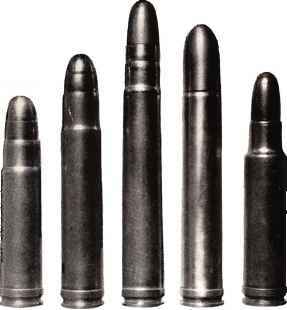 Novel handgun varmint round, ideal for wary coyotes, is Kay-Chuk (center) contrasted with .22 LR, and Hornet (rt.) from which it is made. Details of high velocity pure lead bullets show Jugular Express half-jacket and zinc washer on base of Prot-X-Bore hollow point which is popular for .357 and .44 hunting and defense. the simplest being the .45 Colt. Rifling is reamed out, and a 1" long choke tube is threaded to the muzzle. The fast taper choke is .010" under bore size. Cylinder throats are reamed to chamber diameter. Efficiency depends on Harvey's .045" zinc over-shot wads to increase pressure for uniform patterns. With sized and primed .45 Colt cases, loading procedure is: charge with 5 grains Bullseye, seat a felt wad over a thin card wad, and charge with about 135 No. IV-z shot. This is 25 fewer shot than in a light .410 shell, but the entire charge patterns in the area covered by the best 135 pellets from a shotgun. Wads can be seated with a dowel, but Harvey designed a Wad Seater Die for uniform adjustable pressure. The over-shot zinc wad is crimped with your .45 Colt seater. Bullet loads can be fired with reduced accuracy and power. There is no finer gun for teaching aerial shooting. They are dandy for game no larger than jackrabbits up to 25 yards, and are pure poison on snakes. 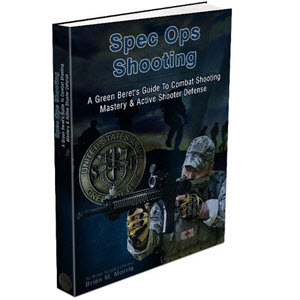 There is no safer firearm in settled areas, as the shot expend practically all energy within 60 yards. A little .22 Short bullet can be lethal at 30 times that range. Most anyone handy with tools could copy the conversion, but Harvey was building a going business. Like a shot out of the blue in 1956 came a Treasury ruling the little snake shooters were classed as sawed-off shotguns under the National Firearms Act! Without warning, work was stopped at Lakeville Arms and conversions under way were frozen. 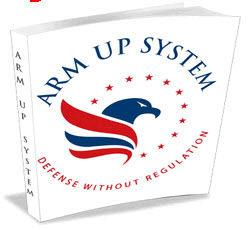 All guns in the hands of owners had to be registered. 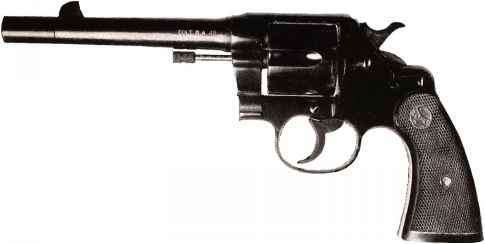 With a sad heart, I registered my fine Colt .45, one of the first conversions. To sell it requires paying an unfair $200 tax. Sportsmen recoiled at the unjust ruling. These were not "criminal" guns by any stretch of the imagination. Not one was known to have been used in any crime. Big game wildcats for various actions are Harvey .429 Maglaska Junior, Senior, and Super Senior with .458 WRACo "African." Right, .358 Maglaska. 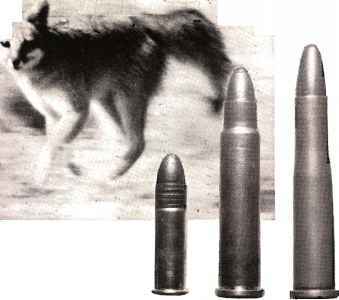 Compared with .458 soft nose, Maglaska .429 bullets give hunter wide variety of weights, energies, in his custom loadings. Cannelures help control the expansion.